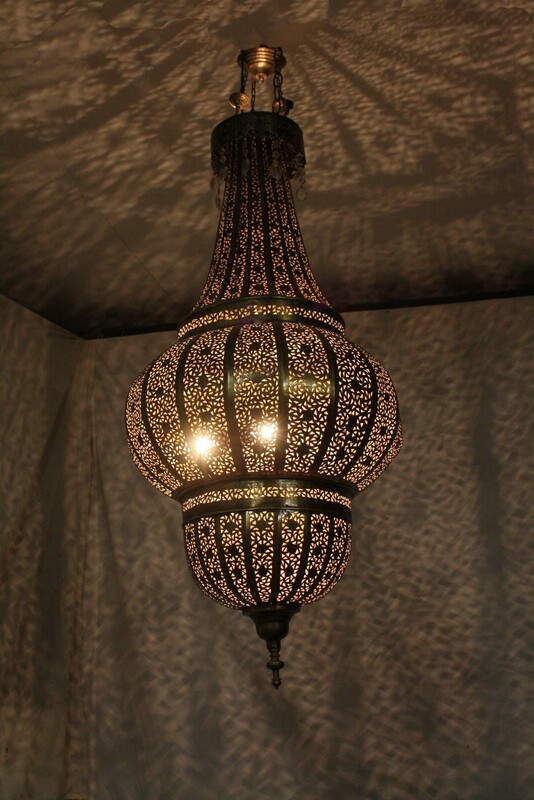 Posted on May 7, 2015 by Badia Design Inc.
From Badia Design Inc. – A uniquely designed Moroccan chandelier that can be easily attached to the ceiling of a large room, banquet hall or hotel ball room. It has very detailed and intricate cutouts that will display very nicely on the ceiling or wall. 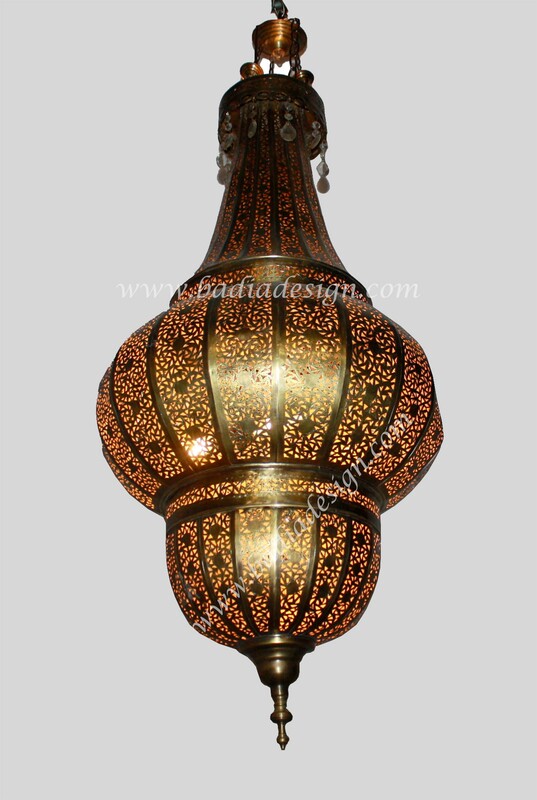 Attached around the top are tassels made of glass that I’m sure will attract the attention of your family and friends.